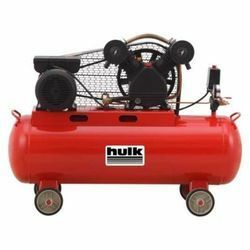 Our range of products include reciprocating air compressor, plastering equipment, plastering machine, spray machine, plastering trowel and mortar spraying machine. 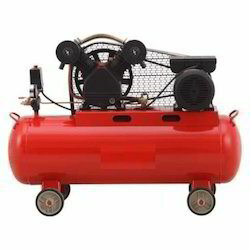 We are engaged in offering Reciprocating Air Compressor to the clients. 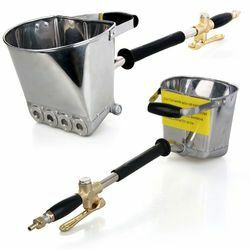 Being one of the prominent and trustworthy organizations of this domain, we are involved in offering a wide assortment of Plastering Equipment in the market. These are compact in size and widely acclaimed for their robustness, rough and tough usage and precise design. Owing to its optimum performance and precise design, these tools are widely recommended by clients. Apart from this, these are tested on various quality tests before the final delivery to the clients. We have achieved a distinct position in the market by providing Plastering Trowel. This power trowel is given to our patrons in various specifications & widely admired for its performance. 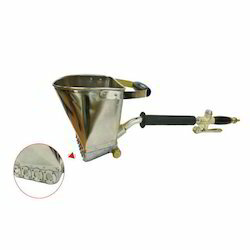 The power trowel offered by us is designed using modern technology as per with the quality standards. Moreover, we offer this power trowel to our patrons after assuring that the offered range is the best in quality and performance. In order to gain the maximum satisfaction of our valuable customers, we are engaged in manufacturing, exporting supplying Sander. 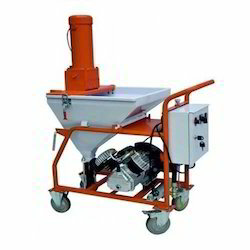 Offered electric sander is manufactured by utilizing innovative technology and optimum grade material keeping in mind the set norms. 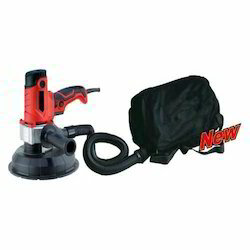 In addition to this, offered electric sander is available as per customer's specifications in a stipulated time frame. 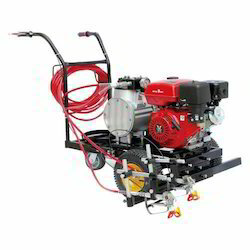 The X8 Line maker is a 2 gun Cold airless spray machine. 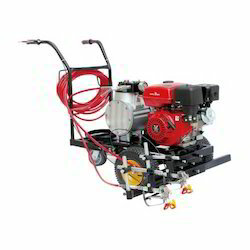 It is powered by a petrol engine and can be used for 2 line markings simultaneously. 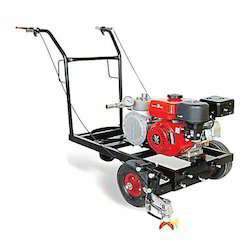 It is best suited for airport runways, Parking lots etc. 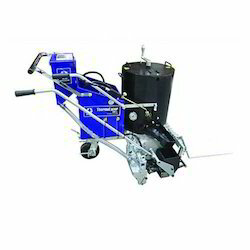 It is very suitable for painting curb stones on roads and highways. We are dedicatedly engaged in manufacturing, supplying and trading a qualitative array of Airless Line Striping Systems. These systems are manufactured following industry set guidelines using high quality component and equipment. Post-production, these systems are thoroughly inspected on certain parameters of quality to rule out every possibility of defect. 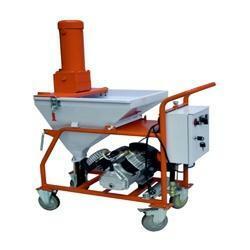 We are a renowned organization that is engaged in manufacturing, supplying and trading superior grade X6 Line Maker. 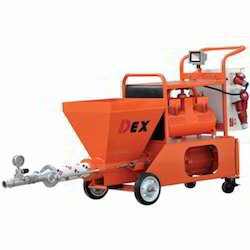 This machine is suitable for cold airless line stripping of airport runways, Parking Lots etc. 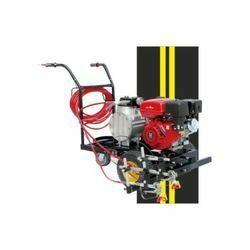 As a trust worthy organization of this domain, we are committed to offer our clients a superior quality assortment of Line Marking Machine. 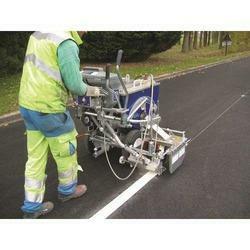 Water based paint, Oil base paint, specially for Water based Road Marking (Runway Marking) paint. Graco’s Thermo Lazer 300TC, By Lokpal Industries is one of the most productive and easy to use thermoplastic handliners in the industry. The system’s 300 lb material kettle allows for more striping and less time spent refilling with material, while its Easy Glide Wheel Mount System makes this unit as easy to maneuver as a LineLazer. 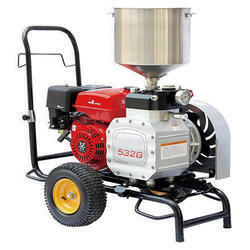 We are largest supplier and importer of Wall Putty Spray Machine.